Hike with the CVL Hike Club as we log 8 more miles bringing the cumulative total for this year to 86.5 miles! We have only 13.5 miles to go to meet our goal of hiking 100 miles for the Arizona’s Centennial year! Join us Nov. 3 at West Fork Trail in Sedona, Ariz.
Leaving the land better than we found it is the only rule of CVL’s Hike Club. Each month, CVL leads employees, customers, friends and family on a day hike. After Sedona’s hike, we’ll finish out our 100 miles in central Arizona at (you guessed it…) the Tom’s Thumb Trailhead! The long-awaited North Access Trailhead finally opened to Arizona’s climbing and hiking communities – providing new access to the popular Tom’s Thumb area in North Scottsdale. Scottsdale Mayor WJ “Jim” Lane was accompanied by Tom’s Thumb namesake, Tom Krueser, who opened the trail with a ceremonial carabiner! Notable landmarks are the Tom’s Thumb and the Markus Landslide hiking trails that give new foot access to an area that has long been popular with rock climbers. Now with bathrooms, interpretive signing and well-marked trails, visitors can now have a shady place to sit and gather either before or after hikes. In addition, 10 horse trailer parking places were added. The CVL Hike Club made it to the opening and hiked the Markus Landslide trail to commemorate the event. CVL Consultants sponsored a hole at a golf tournament for the Boys Hope, Girls Hope organization. Because of this and other fundraising efforts, 18 students will receive full, four-year tuition scholarships to college. Boys Hope Girls Hope helps academically capable and motivated children in need meet their full potential and become men and women for others by providing value-centered, family like homes, opportunities and education through college. 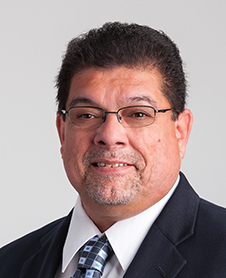 The tournament was held Oct. 8 at the Whirlwind Golf Club in Chandler, Ariz.
Richard Alcocer, RLS, became a Land Surveying Director in March 2017, previously a Project Manager in the survey department. He has over 37 years of experience in boundary surveying, topography, ALTA, and construction staking. Mr. Alcocer oversees 10 survey crews and directs his crews to perform with the upmost integrity and to always have the client’s best interest at heart. What professional accomplishments give you the most pride and what makes that accomplishment so rewarding? My most rewarding accomplishment was to follow in my father’s footsteps and become a Registered Land Surveyor. If you could have one super power what would it be and why? I already have one- being a great role model to my children, nieces, and nephews. 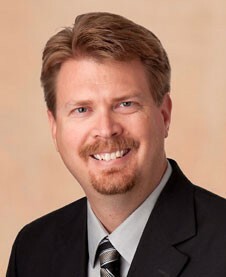 Jason Kelley, PE, obtained his BS in Civil Engineering from Arizona State University. He has approximately 23 years of public works experience and two years of private development experience focused on floodplain and watershed management, regulatory approvals, hydrologic study and drainage design. 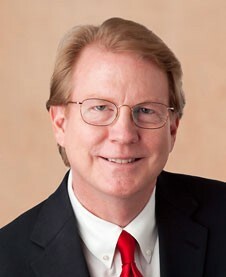 Mr. Kelley is licensed in both Arizona and California. He joined CVL in 2015. 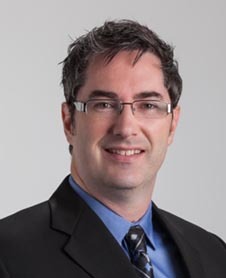 His specialties include drainage master planning and the evaluation and design of drainage infrastructure using the newest technologies, such as two-dimensional modeling. What professional accomplishments give you the most pride and what makes those accomplishments so rewarding? I’ve been fortunate throughout my career to have both expert mentors and challenging projects that helped to develop my technical skills. The most rewarding part has been mentoring and supporting others in their careers. Ms. Both obtained her BS in Accounting from Arizona State University. Ms. Both is proud to be an Arizona native and has seen firsthand the positive impact of CVL’s exceptional planning and design talent as our state has changed and grown. Ms. Both joined CVL’s team in 1985 and has been her home ever since. 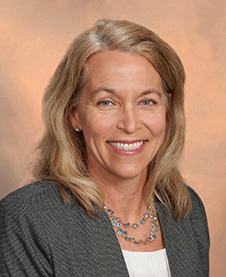 In addition to directing CVL’s Financial Accounting and Reporting, she provides Human Resources leadership. I am most thankful for CVL’s culture, which allowed me to raise a family while continuing my professional growth. My goal is to provide the same friendly environment to CVL’s employees and provide stability for their families. Genius mind…I’d like to earn an engineering degree and pass the P.E. test in one month, and then try that part of our business. Timothy Starkey, PLA, earned his BS in Landscape Architecture from Purdue University, and immediately left the Midwest. He has worked in the landscape architecture profession for over 20 years, at both small design firms, and large multidiscipline forms, working primarily in the southwest. Mr. Starkey joined CVL in 2004, and became Director of Landscape Architecture in 2015. In addition to his consulting experience, Mr. Starkey has taught several workshops and served as adjunct faculty at ASU teaching graphic design. His love of teaching carries over into his management style through his mentoring of young professionals. I’ve had the honor to work on projects from small art installation, to large planned communities. I’ve also worked with enthusiastic owners, planning their new facilities, and disenfranchised citizens voicing their concern over public works projects. I still find every project to be unique and exciting, and enjoy the design process with my clients and colleagues. However, my greatest happiness comes from seeing how people interact with the spaces I helped to design. Eric Laurin, PE, obtained his BS in Civil Engineering from Clarkson University and a MS in Environmental Engineering from UNC at Chapel Hill. He has been engaged in consulting engineering for approximately 40 years, performing water and wastewater infrastructure projects in 12 states and American Samoa. Mr. Laurin joined CVL as a Project Manager in 1998 and was made Director of the Water Resources Department in 2010. His specialties include the evaluation and design of water and sewer infrastructure systems for municipal and private client. Mr. Laurin believes that the key to understanding a client’s needs begins by listening. I firmly believe that mentoring and teaching the fundamentals of engineering helps advance the understanding of the profession. Since 2002, CVL has sponsored student teams in a Senior level special projects class at ASU’s School of Engineering known as CEE 486. I have been involved as a mentor since the beginning of CVL’s involvement in this program. Great satisfaction comes to me in helping a young person understand and apply the principles of design and problem solving. These tools will be very useful in the student’s professional development and I am always grateful for the opportunity to share his knowledge. The power of flight – this would allow me to avoid traffic jams on my way to work! Our Service First ethic means we value your project as much as you do. Using an integrated approach and early, hands-on coordination with all stakeholders, we guarantee your goals will be met or exceeded. Exceptional customer service is the foundation of every project. Getting the lay of the land is task #1 for Larry Sullivan and his team of surveyors. Larry holds more than 38 years of land surveying experience with emphasis on horizontal and vertical control for mapping projects, ALTA/ACSM surveys, boundary and topographic surveys, office calculations, research and writing legal descriptions, and construction staking. As Survey Director for the past 21 years, he manages the CVL Survey Team consisting of several experienced surveyors, five of whom are Registered Land Surveyors, staff surveyors and survey technicians. Since joining the firm in 1982, he served as a crew chief for seven years and was an assistant survey manager for two years prior to becoming the director in 1991. He is responsible for supervising and coordinating the ALTA/ACSM surveys, boundary and topographic surveys; and communicating with clients, outside agencies, and CVL staff. One of Larry’s favorite elements of the job is that past survey research now can be found in online public records with careful persistence. Knowing how to search and survey helps CVL complete projects accurately and on time. When not in the field, Larry is an avid gardener and traveler who hopes to soon take a long look at the British Isles. Curt “CJ” Johnson has applied creative land planning solutions to numerous public and private sector projects. His experience includes master planned communities, conceptual planning and lotting, implementation planning from the conceptual stage through final platting and long range, and state and agency planning. 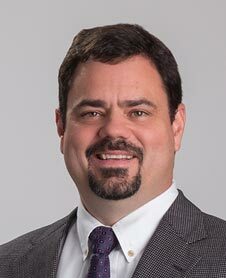 Curt also works with entitlement plans, land use and zoning cases, commercial and resort planning, senior living, hillside development, development review boards, design guidelines and feasibility studies. 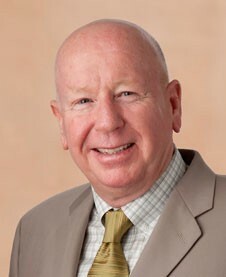 Mr. Johnson is also an active board member and committee chair in several industry associations. Since joining Coe & Van Loo in 1993, Curt has held true to one guiding principle: “Be honest, always do your best and be grateful for each and every day.” Making the most of every day is why Curt hopes to travel the world with family and friends. 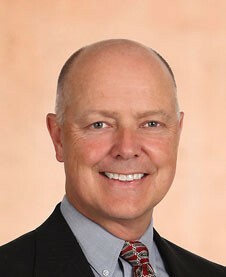 President and CEO of Coe & Van Loo Consultants, Inc.
Mr. Weed became President of CVL in January 2015, previously holding the title of Executive Vice President. He holds a degree in civil engineering from Northern Arizona University and is a licensed Professional Engineer (PE). His engineering experience includes planning and zoning, preliminary layout, final construction documents, and coordination for residential, commercial, solar, energy, parks, and master-planned communities. His leadership expertise includes navigating government relationships, various regulatory matters, and helping comprehensive teams think creatively to solve problems in ways that benefit both communities and clients. Mr. Weed has dealt with municipalities across the country and is familiar with development requirements within several metropolitan areas. This includes ways to streamline much of the red tape that can unnecessarily delay projects. One of the greatest aspects of Mr. Weed’s job is helping clients discover CVL’s “harmony trifecta” of design innovation, sustainability and profitability. 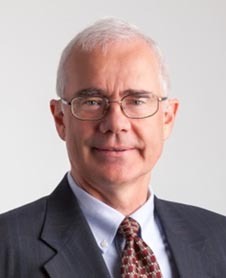 The best advice Karl Knapp ever received was that “if one focuses on project goals and deadlines today, he will avoid project issues tomorrow.” That philosophy has guided him throughout his 28 years in engineering design, entitlement processing, construction management, engineering services and consulting firm management. Karl opened the Colorado offices of CVL in the year 2000 and has since led numerous public works, private water, and land development projects throughout the Western United States. Today as Chief Executive Officer, Karl still follows that sage advice he received years ago to lead CVL staff in all aspects of their relationships with projects, clients, and each other. He believes no task is outside the realm of CVL’s capabilities and that consistent, tireless, enthusiastic and dedicated service is what best serves clients’ needs on a daily basis. If that kind of work ethic isn’t enough, go ahead and ask him to entertain you, too. Karl is an accomplished signer/songwriter who plays guitar and mandolin, and has about a dozen copyrighted Country songs to his name. Someday soon, you might find him sitting high on a pack horse, exploring the West as he strums along.